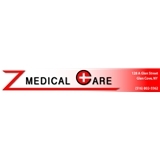 Z MEDICAL CARE (Glen Cove) - Book Appointment Online! Fantastic office. Everyone acted in a friendly manner and I was taken care of promptly. I highly recommend this location.